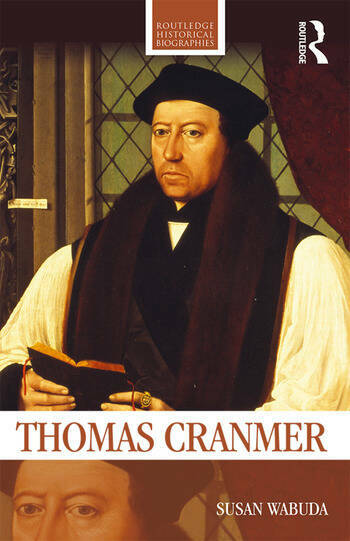 Thomas Cranmer’s place in English history is firmly established, yet the complexities of his character have remained obscure and he continues to be one of the most problematic figures of the Tudor period. Susan Wabuda’s biography sheds fresh light not only on the private Cranmer, but also on the qualities that enabled him to master a shifting political landscape and to build a new English Church. Athletic by nature, Cranmer enjoyed hunting and he was a keen collector of books. He was blessed with several lifelong friendships and twice risked his career by marrying the women he loved. A skilled debater and a deft politician, Cranmer sought to balance his long-term plans for the Church against the immediate demands of survival at court. Obedient at all times, yet never entirely trustworthy, he had to reconcile the will of his God with the will of the monarch he served. For too long, Cranmer’s legacy has overshadowed the life of the man himself, but this new biography enriches and extends our understanding of both. Accessible and informative, it will be essential reading for students and scholars of the English Reformation and the Tudor age. Susan Wabuda is Associate Professor of History at Fordham University, New York, USA. Her previous works include Preaching During the English Reformation and she is currently writing a new comprehensive study of Hugh Latimer.